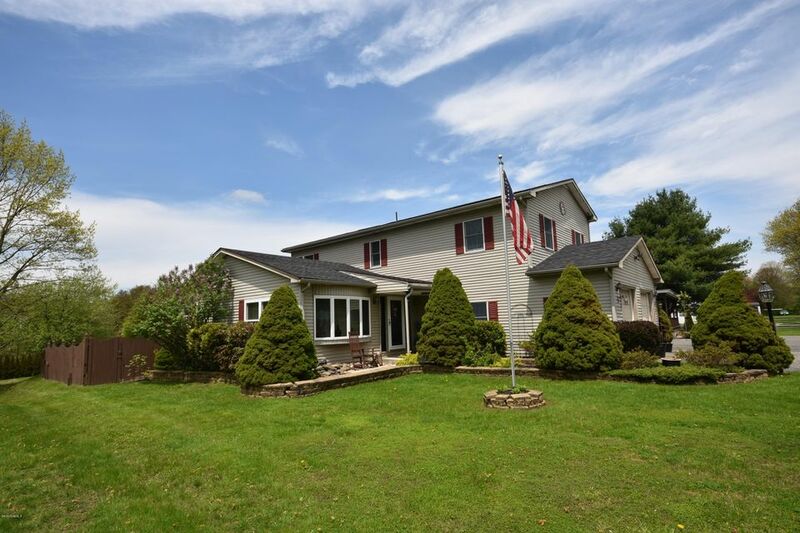 Meticulous 4 bedroom 3 bath home with lots of living space! Open floor plan w/ large kitchen. Master bedroom suite w/ jetted tub. Large windows maximize natural sunlight. Newer roof (3 yrs old) hot water tank (2017), generator & built in speakers on main floor. Fully-finished basement. Extensive deck w/ screened in room. Heated in-ground pool, heated two-car garage w/ full size appliances (microwave, fridge, range/oven). Alarm-system. Centrally located only minutes away from Jiminy Peak year round Mountain Resort, Mt. Greylock, & v. close to Pontoosuc Lake.